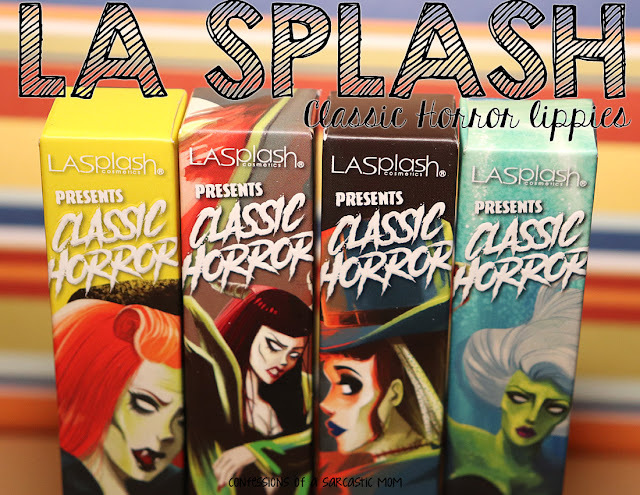 I've been slacking in the posting department lately - but that is changing! 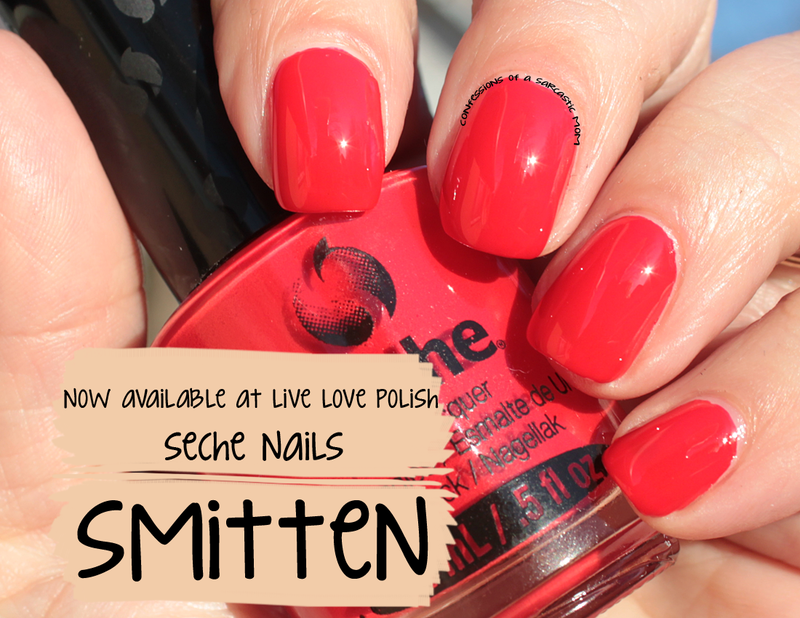 I've got some wonderful stuff to show you guys coming up, and today's post is about a gorgeous polish from Seche, and it's available at Live Love Polish! What is Live Love Polish you ask? Well, the easiest way to explain it is that Live Love Polish is an online store dedicated entirely to nails and the best polish brands! An officially authorized retailer for all brands sold on the site, including China Glaze, Models Own and Color Club, they have recently added Seche Nail Color to their line-up! 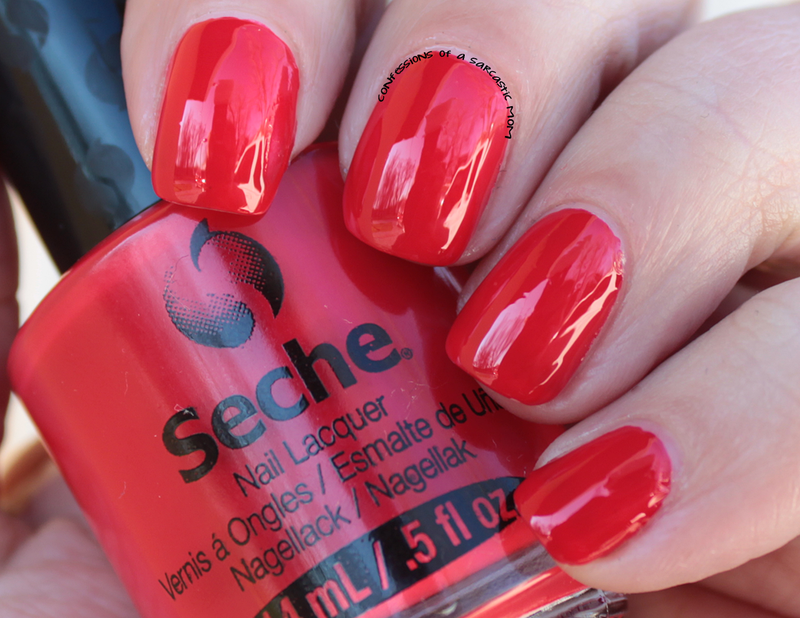 I have tried Seche Nail Color before, and I really liked it, so when I was given the opportunity to try out a lovely pink-leaning red called Smitten, I jumped at the chance! This jewel, as I mentioned is red but leans pink, and you can see in the sunlight photo. The formula on this polish is excellent - it is a one-coater. I'm on my second day of wear on this polish, as I type, and it's still perfect, especially paired with Seche Vite Top Coat. 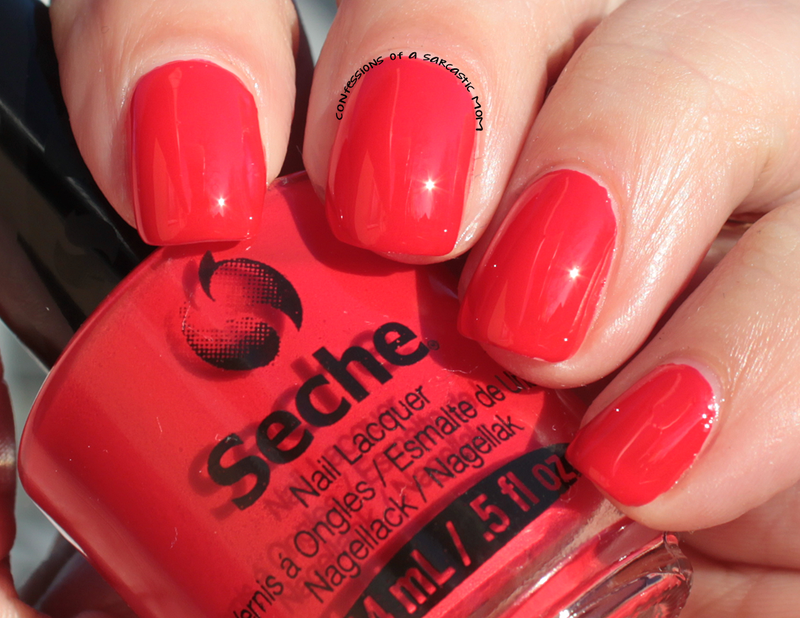 I will be the first to tell you that Seche Vite does not work with my nails generally. Every polish I've tried with Seche shrinks. It's a chem thing with me. However, with Seche Nail Color, Seche Vite Top Coat is working pretty well! 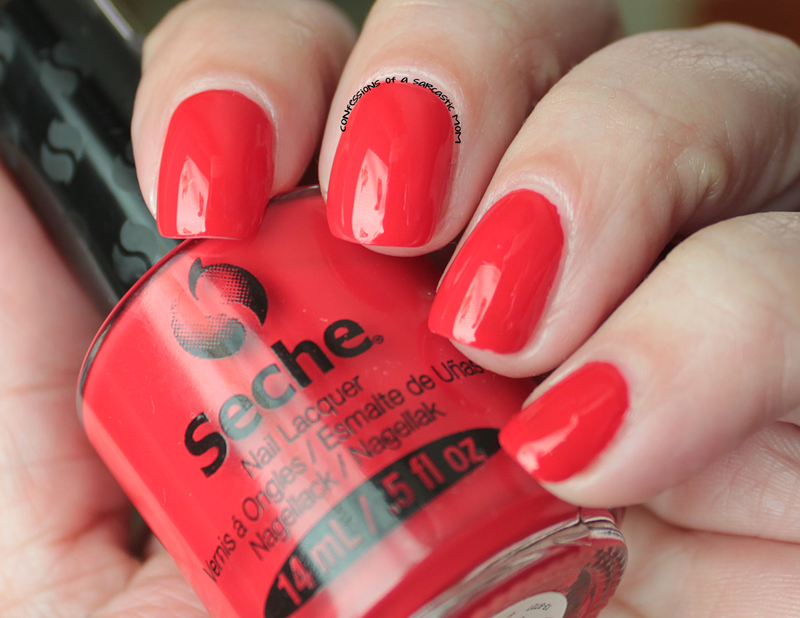 Pictured is one coat of Smitten topped with Seche Vite. I like to show the polish in different light settings, so I chose direct sunlight, outdoors in the shade, indoors with natural light and indoors with a flash. It takes on different undertones with each change doesn't it? This creamy polish is a staple in my collection now - and as I mentioned, I'm on my second day of wear with it. I might add something to spice it up later tonight - who knows, maybe I'll have another post for you next week with this polish! 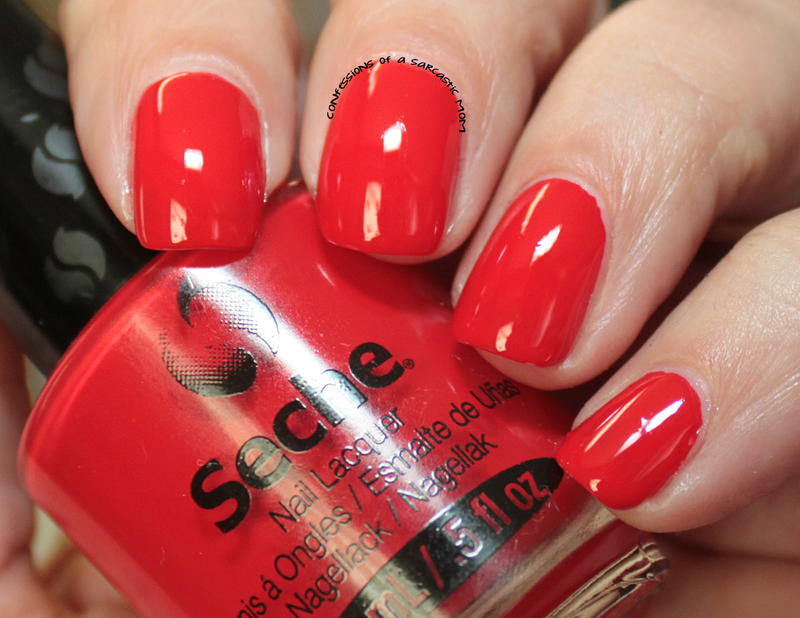 Want this polish or other Seche Nail Colors? Check out Live Love Polish!